The 1st contender is Heart Villa Carlo who is a graduate of BS Accountancy. She was an honor student in high school and now works as a choreographer and hair educator. The next contestant is Aloha Filipina who studied Tourism. She loves collecting antiques and owns a parasailing boat. Last but not the least is Gretess Cunanan who is an alumna of Las Pinas High School. She is a former gymnast and owns a car rental shop. The contenders were first told by the host to check their respective buzzers and they need to describe their answers in 3 phrases. When the 1st question was asked, Gretess gave the right answer and got to advance in the next round. 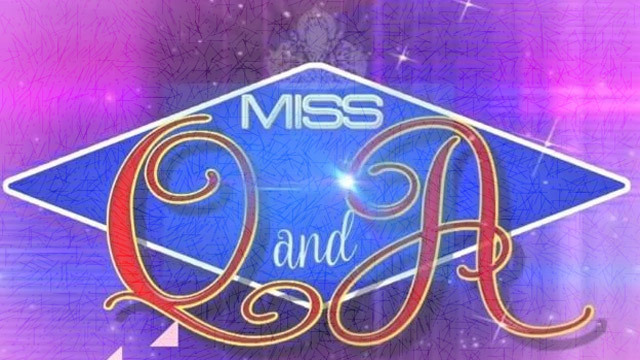 For the 2nd question, Heart immediately guess the correct answer and also got to advance in the 2nd round while Aloha was eliminated. Gretess is called and her question says; will Snowman have a cold Christmas this coming season? She answered that he will never experience it because everyone loves him especially kids. Heart is the next one to be called and her question says; why is Jose Marie Chan popular every Christmas but not during Chinese New Year? She replied that his songs have a special place in every Filipino’s hearts because you feel calm when you listen to it. Based on their answers, contestant no.3 is going head to head with the reigning queen. Gretess and Rianne are going to answer the question that says; what are you going to give Santa Claus? The daily winner said that he will offer him love because she believes that is the highest form of entity in the world. On the other hand, the defending winner will give Santa Claus a cell phone so that she can call him. She is going to thank him for everything that he has given to all children and kids at heart. After a deliberation, Rianne is now included to hall of fame joining Juliana Parizkova and Matmat Centino in the Grand Finals.